Next time somebody tries to tell you hurricane Sandy was an "unprecedented" East Coast hurricane, show them this | Watts Up With That? Looks like the CO2 level was less than 310ppm prior to 1958, when the data begins. 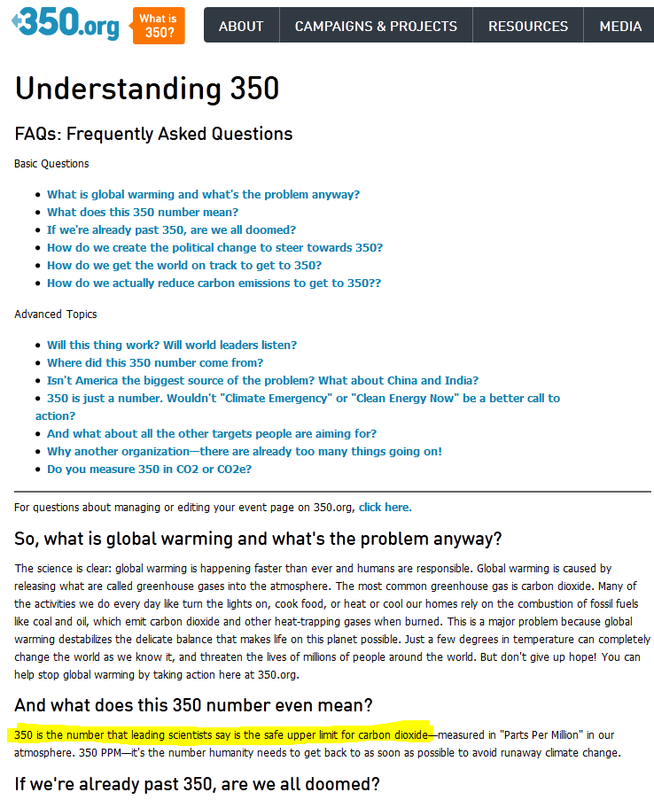 So here’s the question, if 350 ppm is the “safe” level as defined by activists Dr. James Hansen and Bill McKibben how did all those hurricanes happen back then? Regarding the last question, we are only doomed if we continue to listen to opportunists like Bill McKibben that try to spin fear of climate (aka Tabloid Climatology) into every weather event now. New York City is particularly vulnerable to storm surge because of a geographic characteristic called the New York Bight. Also know as Manufactured Consent. Their desperation is showing like dirty underwear after a 2 week bender. I am equally baffled as to where the term “frankenstorm” came from. I assumed it was invented by HuffPo or Hansens, but I read somewhere that it was from NASA, which is strange considering the modest windspeeds. Perhaps they were referring to the huge area covered by Sandy. Those sat images looked like something out of “Day after tomorrow”, or the cover of Al Gores latest book. Look at those photos and you see great similarity to what happened to the coastal towns of NJ. I think “frankenstorm” kinda fits in with a Halloween theme; we have to have a theme don’t we? No real information was forthcoming from the lame stream Media. Whatever the motivations behind Mayor Michael Bloomberg’s decision to cite Sandy and climate change as a reason for his endorsement of President Obama, it has the effect of relocating responsibility for Sandy’s devastation from NYC City Hall to Washington, DC. Why stop there? In the U.S., emissions fell. In China, they went up. Now exactly what does Bloomberg expect from Obama? Does he expect Obama to spend tens of billions to reduce CO2 which will do nothing or does he expect him to spend billions wisely by helping New York build systems that will protect the city from the effects of future storms? 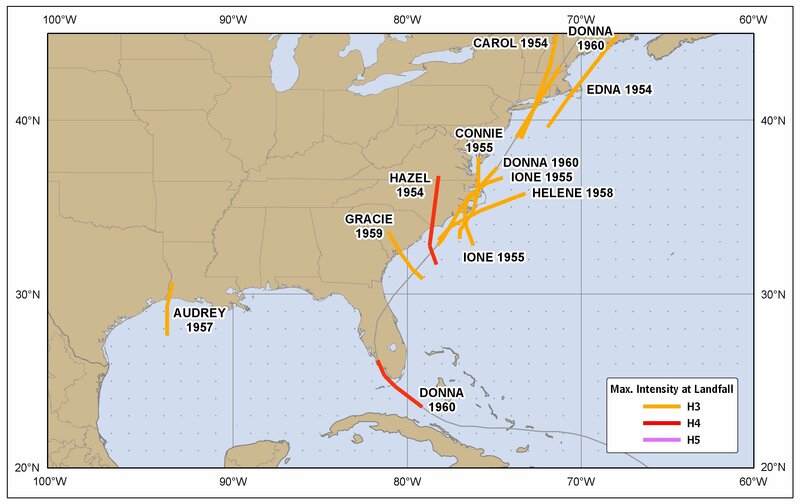 1951 to 1960 is certainly the greatest number of landfall hurricanes in that period by far! And when non-union crews come in to restore power, this happens. In 1995 JLK was contracted to conduct a study that would help explain the observed record of cooling at stations in coastal eastern Canada and western Greenland. A relationship between this trend and variability of the Canadian Polar Trough was discovered and a new 50 kPa index called the Baffin Island – West Atlantic Index was introduced. A co-authored paper was published and the work was presented to the 20th Climate Diagnostics Workshop in October, 1995. The motivation for the term was the idea that Sandy would merge with two other weather systems heading eastward, creating a monster storm cobbled together from different sources, the way Frankenstein was created from parts of different people’s bodies. I’m not even entertaining the notion of hurricanes being caused by human activity, in whatever way or even who ever says they are. I’m actually considering sitting all this nonsense out until the fever breaks, election fever that is. But it’s just so fascinating, who knows? BTW, Frankenstein was the creator of the monster, and just like AGW creating a “frankenstorm” it is pure fiction. What’s “unprecedented” about Sandy is the attempts to cash in on it. Storm #2 began on November 29, 1925 in the Caribbean Sea. This storm contained winds of 156 km/h (85 knots) at its maximum strength making it a category two storm. Storm #2 entered the CHC Response Zone on December 3rd as it was weakening into a tropical storm. It brought winds of km/h (40 knots) to the CHC Response Zone. Storm #2 later dissipated on December 4th and did not cause any damage in Canada. 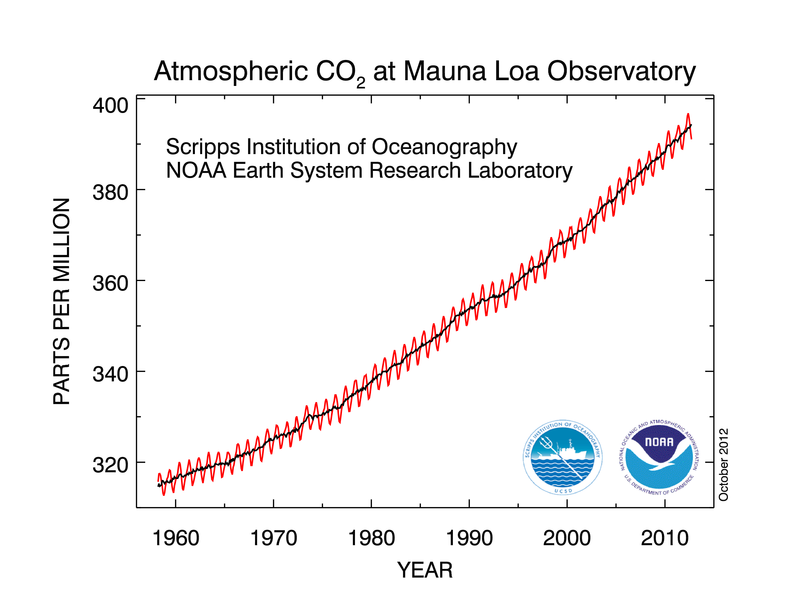 I wounder if the rise in CO2 is the cause of the recent rise in obesity? It correlates. It is extremely entertaining to watch the contortionists spin their way out of documented “precedence”. You really have to be creative to pretend a storm like this has never happened in this way ever before. Stitch a bunch of poorly linked pieces together. I guess this is what is needed to re-animate the corpse of CAGW. Frankenstorm might be more apropos than I first thought. If CO2 can magnify heat ……………….. Since Mayor Michael Bloomberg has been touting “Global Warming” since he took office, why has he done nothing to prepare his city for an event such as this? The reason is simple: Michael Bloomberg could care less. Let the peasants pay for it all. equally laughable and disgusting, really. You talkin’ ’bout that brief methane ballooning in britches? due to “baroclinic forces”, which are extratropical influence. southwest quadrant while moving or turning westward, or about to do so. Sandy would have been classified as a 70 MPH tropical storm. tropical storm in its stretch from about Maryland to NYC. Sandy landfell as a bad Nor-Easter. A few of those do have eyes. Hazel of October 1954, and the 1991 “Hallaween Storm” / “Perfect Storm”. extratropical cyclone by the time it got from NC to VA.
Don’t forget Agnes of June 1972.
are merely infrequent, and now one had to hit NYC in a bad way. the Schuylkill get to highest in Philadelphia history. At and just before landfall, Sandy was NOT a hurricane. There were no sustained winds anywhere near land that qualified for the 33 meters per second hurricane threshold. 26.8 meters per second (52 knots) recorded by station CMAN4 at Cape May, NJ. Other stations were less, eg. SJSN4 (Ship John Shoal, NJ) max was 26.3 meters per second. NDBC 44065 and 44025 off New York Harbor showed 24.4 and 25.1 meters per second. Station 44009 off Delaware at 23.7 meters per second. Other stations were substantially less, especially land stations. Also, read the NHC reports, before landfall, they always over-estimate the surface winds estimated from aircraft. Sandy might have been a hurricane well off-shore, but it weakened when it merged with the cold front some hours before landfall. It is amazing isn’t it! Any scientist, or really anybody at all, that uses the word “unprecedented” is doomed to fail immediately, and I’m sorry, should be summarily rejected from any position of importance. There is almost nothing that can be described using the word “unprecedented”. Not even their own innate stupidity. What we are seeing is the literal definition of doomsayers, who are well-represented throughout human history, formerly warning of catastrophe from a comet spotted in the sky or a plague decimating the population, resulting in the summary sacrifice of a hundred cattle or maybe virgins to appease the angry Gods. This time around they want us to pay an even higher cost by sending civilization back to the dark ages where these very doomsayers ironically would fit right in. These nitwits were harmless when they only strolled through Times Square wearing sandwich boards that said: “The Day Of Judgment is at Hand. Repent!”. Somehow we allowed them to migrate from there to positions in the Media, Academia and Scientific Institutions. Werner Brozek asks above: “Now exactly what does Bloomberg expect from Obama?” and I respond (in a not so direct way) with an implication that Bloomberg has taken a lesson from Rahm E. in ‘never letting a crises go to waste’? Facile arguments reflect poorly on skeptics just as efficiently as they do on warmists. Cat 1 storm. Full Moon. High Tide. Very negative NAO provided blocking and turned the storm right into the “funnel” causing the surge. Nothing about CAGW. Some how this whole saga reminds me of some Will Rodgers quotes. Well,being a good DemoncRat,Bloomberg will hope he spends billions on AGW,and throw a few bucks his way. Cripes. These eco-cultists are getting desparate. It’s to the point now where they have not only soiled the respect of reputable scientists,now they have made the word unprecedented passe. And as an aside,Frankinstein built the monster,whose name was Adam. There is almost nothing that can be described using the word “unprecedented”. How about they way they are using “unprecedented”? Nice that someone mentioned the storm of 1987, that destroyed nearly 80% of the mature trees in Kentm Sussex and surrey, not that much property damage as the brits build the homes properly, look at the pictures from NJ the condos are Ok but the wood homes get swept away like toys, also the exploding transformers, why were they not disconnected before the water hit? why were the subway tunnels not protected with flood gates? I suspect the answers are all the same, the feds have picked up the tabs in the USA so why worry? I don’t see the significance of posting an image of hurricanes passing east of New York City. Hurricanes have counterclockwise winds, so the storm surge is to the right side of a hurricane’s direction. We were lucky Sandy had better ground speed than the forecast, which allowed it to pass by faster. The mph of ground speed was suppose to drop from 19 to 9 to 3 in 12 hour intervals, but it increased to 28 as it changed course and went through New Jersey. Sandy had sustained winds of 90 mph before landfall, but unfortunately for NYC that wind direction was blowing the surge right at them. I think that you also have to consider that the local office holders at the time(s) the suggestions came up didn’t think beyond the poll numbers and their term of office. Upon further review,,,,,,,,,, the only thing that will be unprecedented will be the amount of lawsuits with respect to mold. I think it was at the low end of category 1, is that correct? Once the pro AGW/Climate Change lobby called the storm frankenstorm or used the adjective unprecedented I found that my tendency was to discount many of the storm warnings. IMO many of the forecasters have been co-opted by the AGW forces and I find their writings less than trustworthy. I wonder how widespread such distrust is? I think we should just start replying in kind to any climate tabloid use of unprecedented with a single word declaration. For everyone who doesn’t like the word unprecedented and believes Sandy was precentented, let’s start by naming one hurricane in that area heading in a westerly direction. Don’t embarrass yourselves by taking too long giving an example, because you didn’t hesitate to make all these articles and posts claiming there were precedents. And, before anyone tries to pull the bull, yes the direction of a hurricane when it hits land is very important to the amount of storm surge. Cough up with a precedent! I guess NOAA’s knowledge base on this subject doesn’t go back beyond 1951. It had no doubt happened before, and will probably happen again. Just a matter of time, but we don’t seem to be able to remember anything for more than 50 years, which is why AGW gets so much traction. The geologists are laughing up their collective sleeves. What I’ve been hearing warmists say is that the effects of Sandy were magnified due to the higher sea levels which were due to global warming. Thoughts? You are such an obnoxious little puppy. The direction of a hurricane has nothing to do with whether it is ‘unprecedented’. See Rusty W’s post above. The hurricane of 1938 made the same move as Sandy, and it was a much stronger Cat 3 storm, with 120 mph winds. You are still a wet behind the ears juvenile puppy who knows nothing except the talking points you get from from alarmist blogs. And as we see here, you are proven wrong once again. I’d agree with that sentiment – the trouble is; that with trying deflect the NUTTY claims of AGW effects, there will always be another one around the corner (and probably a direct opposite of the first claim!). The various AGW ‘effects’ can be twisted to the ‘data’ or vice versa (as we all know). That is, of course, the sign of the religous zealotry expounded by the warmista – and one, which, to be frank, we cannot really deal with in true science terms. Nevertheless, the skeptical side must stick to actual facts, and in your example, the argument would NOT be that 350ppm ‘may not be safe’ but that more clearly that ‘Hurricanes and or hurricane intensity/frequency are unrelated to increased CO2’ as the data shows – end of discussion! The positive correlation by the warmista is NOT demonstrated and the hypothesis of CO2 causing increased hurricanes is simply rejected. Those are the facts, based on the real data! In short, double bluffing or twisting the presentation of facts to the level of the warmista is simply bad science and we should avoid it at all costs. more scumbaggery from Australias finest. I’ve added the 1938 storm to the track of Agnes 1972 on the damage estimator, so people can see the tracks. It seems this sort of storm, with the sharp left turn, occurs around once every 30-40 years; not unprecedented, not unexpected. Agnes was a bit weaker since it already made landfall in Florida prior to hitting New York, but only just weaker than Sandy (TS vs. Cat 1). New England 1938 turned less tightly, but was a cat 3 at the time of the turn. A link to the tracks is provided below. There has been an unprecedented increase in the use of the word ‘unprecedented’. I see desmugblag.com have an article on Bloombergs lurid cover page that has aroused a whole raft of… three comments. I heard our local radio scientist claim Sandy is unprecedented, but he ads weasel words like ‘in recent memory’ to weasel out of it. Sadly the public buys it hook-line-and-sinker. In particular, given the history discussed in this thread, did the several hurricanes of the 1950’s level the subways unflooded? Are the accounts of those storms now incomplete and so omit reference to flooded tunnels? Or did floodgates exist in the 1950’s which have been removed or allowed to erode in the decades since? But all this is conjecture. Does anybody actually know what flood prevention measures were where and maintained by who over the history of that system? Has evidence of Malware in it and should be checked for it as my computer Malware detection software detected it in all three ways of entering the blog post. I did not continue to enter as I believe it is an infection that is sitting there ready to exploit and spread. I am not kidding at all! “Hurricane Hazel was the deadliest and costliest hurricane of the 1954 Atlantic hurricane season. The storm killed as many as 1,000 people in Haiti before striking the United States near the border between North and South Carolina, as a Category 4 hurricane. After causing 95 fatalities in the US, Hazel struck Canada as an extratropical storm, raising the death toll by 81 people, mostly in Toronto. As a result of the high death toll and the damage Hazel caused, its name was retired from use for North Atlantic hurricanes. No comparison at all. A large part of consensus science’s CAGW seems to be to bury history to make things unprecedented. Actually, with all the green movement and lefty politicos aware of the late Stephen Schneiderr’s encouragement to exaggerate, disregard uncertainty, generally subvert science and block dissent for “the good” and their willingness to do so makes for a very disheartening pircture. It is not a few crack pots. It is hundreds of millions of people (admittedly blissfully ignorant) who have bought into and feel good about the lying, cheating, intimidation and destruction of economies. Look at the silence and even the support of the so-called 97% of scientiists on such things as the Climategate affair, the whitewashes and the recent Nobelgate matter. Disheartening except for the equally surprising fact that the comparatively few sceptics have been so successful at confronting and beginning to dismantle this ugly beast. 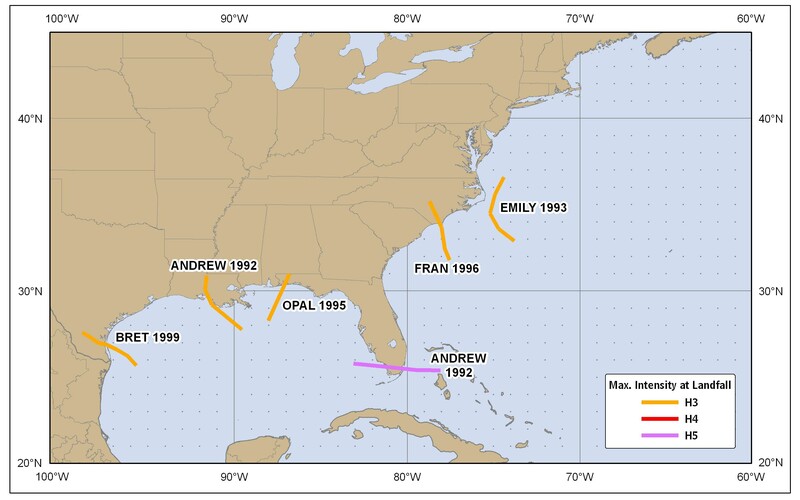 Although it happened in March, the Ash Wed. storm or 1962, exceeded flooding by Sandy over a wide area because it was stalled by a blocking cold front, and continued to grind on the coastal areas for 5 consecutive high tides. Add to that a few seldom remembered storms like the Great Colonial Hurricane of 1635, and the Great Gale of 1815. The subway tunnels flooded in 1992 as well. A few degrees colder and we would have seen something similar to the Great Blizzard of 1888. I repeat (and Anthony can confirm) — we are continuing the all-time record stretch without a major hurricane making landfall in the United States. Sandy (at least according to the comments above) wasn’t even technically a hurricane at landfall, let alone a major hurricane. My mother drove home from the NC beach hours in front of Hazel (pregnant with me) to huddle down in our Raleigh home as it roared by overhead. We endured Hurricane Fran a decade or so agowhich came ashore as a category three storm (following almost the same track as Hazel) and was still category one as it roared over my adult head in our Durham home. It was two full days before I could drive out of our neighborhood as pin oaks four to six feet in diameter were picked up by the storm and spun around like toothpicks through power lines and down onto the roadways. Hurricane Floyd a few years later wasn’t much of a hurricane as far as force was concerned, but dropped so much rain into the state that every major waterway flooded, creating riverways that were miles out of their normal shores throughout eastern North Carolina. The reason Sandy did so much damage is twofold. First, it was physically a very large storm (like Fran) so one could be hundreds of miles away from its center and still experience a lot of damage. The second reason is the eternal one — in the many decades since a tropical storm made a serious hit on the Maryland/NJ/NY seaboard, the coastal population has probably increased tenfold, with huge investments in property simply not designed to withstand hurricanes. That is just dumb, of course — hurricanes happen. In NC we get a reminder of this every few years, because we (like Florida) are pretty much one of the leading pins in Hurricane Alley where the outer banks poke out almost to the Gulf Stream. Even so, people still build ticky-tack houses on what should be unoccupied barrier islands down here and then just wait for the hurricane that no construction can endure. But the long-term communities, the ones that have survived a century or more, survive by building to withstand anything less than a direct hit by the eye or the strongest winds to the east of the eye. In Hartford, perhaps they hardly happen, but hardly is not never. This focus on Sandy is not a bad thing. The true believers of course will scream the news from the roof tops and gather in small excited groups to crow about it. But there will be many sensible people who have been just going with the flow believing what they are told who will start looking at all the fuss and thinking to themselves that there is a something a bit wrong with the story. They will do a bit of research see a few facts from history , and realize they are simply the target in a bizarre marketing campaign. The more of this trumpeting of every single little weather glitch there is, the more questions will arise. Sandy Snowstorm? wasn’t the tropical Cyclone Called Sandy and the cold front that came down was in fact just a large cold front that brought with it the snow. Has the name Sandy officially been carried over to these snowstorms or is it just more tabloid climatology? 2012 – 1954 = 58 years. If there is heightened hurricane activity up the east coast in the downswing of the 60-ish year AMO cycle the next few years could be painful. Sandy may be first of the new series. Are people really so stupid that they don’t understand that natural disasters are – ahem – natural? Don’t worry, I’ve answered my own question. I’m beginning to think my middle name must be Spock. While Sandy was not an unprecedented in terms of wind, as was mentioned in several comments, the confluence of the tropical storm with the nor’easter made for a rather unusual storm in terms of the area affected. Add to this the increase in population density since the prior storms, and the extensive media coverage, and a rather nasty storm becomes a “frankenstorm”. Luckily I personally was not affected by it to the extent of those who suffered, and are still suffering due to the loss of property from the flooding, but the there were a considerable number of large trees downed in my neighborhood. Understandably, these losses prevent those who suffered damages to put this in perspective. This storm came close to the nightmare of may meteorologists, running up the east coat to New York Harhot. Kind of funny, but if the Alarmist had actually stuck to their science, they could claim that the LACK of catastrophic weather is a symptom of AGW. While it is indicative of Global Warming, it is not demonstrative of AGW, but at least they would be half way there. Many people affected by Sandy have lost everything and deserve our sympathy. That is especially true for women who have lost the dear home they have lovingly tended all their lives. These people should not have their misery used as a justification or proof of otherwise unfounded environmental myths or to foster one or another candidate for political office. People need to understand the difference between weather and climate. Weather is what you get! Climate is what you expect. Climate is based on precedence. When there is very little on account of a lack of satelite data before 1950, you take the average which then becomes skewed. Especially in the case where a tropical cyclone is converting to an extratropical cyclone at this time of year. BTW The computer models did an outstanding job with these atmospheric dynamics!